Nearly 50 starving and freezing 50 animals, including five lions, five monkeys, four ostriches, three peacocks, two wolves and a hyena have been rescued from by international animal welfare organisation Four Paws this Sunday. Rafah Zoo had been mistreating the animal. In 2019, bad weather and inadequate housing, 4 lion cubs died. On top of which, the owner declawed a lioness so that visitors could pet her. This brought the zoo under much scrutiny. Four Paws came to the rescue. In the video below we can see that time is of the essence for the charity workers. The animals are malnourished and their health is in danger, with their cramped conditions creating physical and mental issues for the animals. 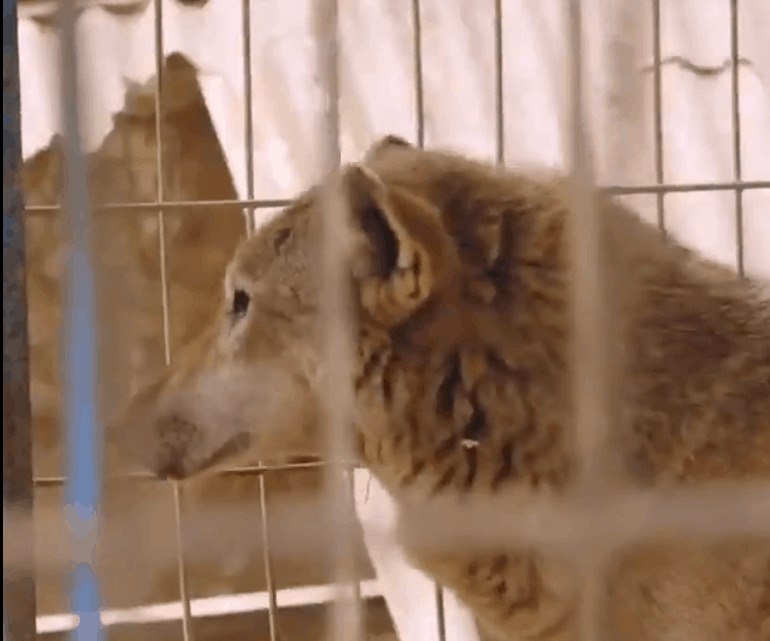 One wolf, in particular, is suffering from a huge tumour. This rescue was Four Paws biggest so far and they have taken the animals to a safer, better zoo in Jordan. You can see from the video just how much help these animals needed and what a great and important job the Four Paws guys did. Let’s hope the animals are much happier in there new home and Four Paws can continue making a difference to animals in need.